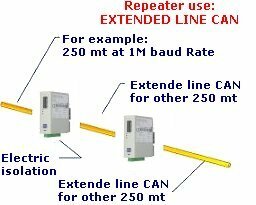 The ranges includes various products for solving all the needs of a CAN line like extension of the line, increase of nodes number, isolation of CANopen branches, protection from spikes noise and electrostatic charger or simply to change the communication baudrate. 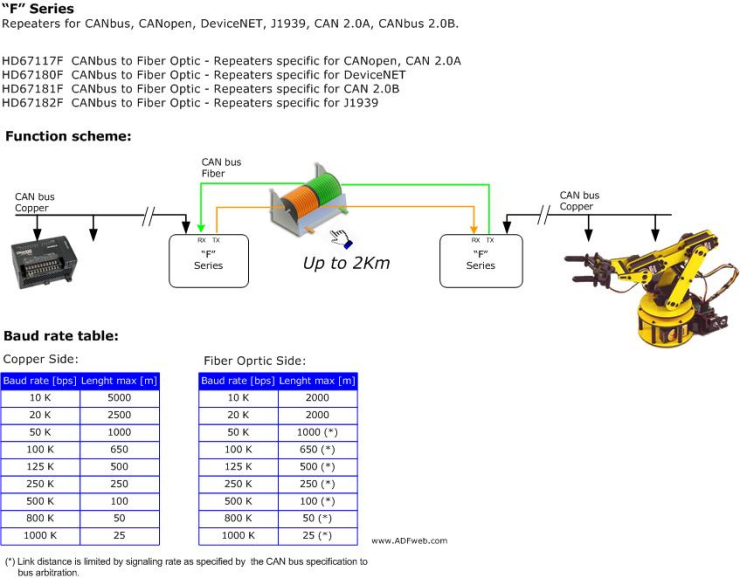 The HD67117 and HD67117M devices are repeaters/isolators for CANopen buses. The HD67117R, HD67117-A3 and HD67117-A4 devices are repeaters/isolators with a 3kV isolation between the two CANopen bus. 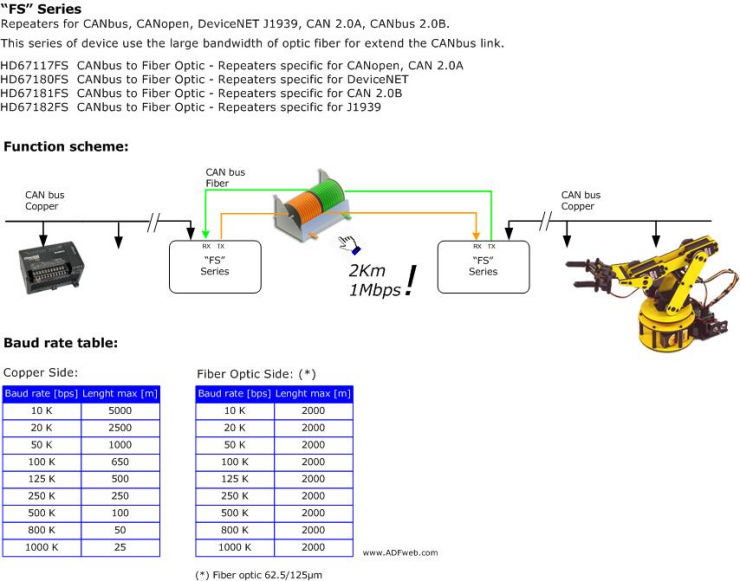 The HD67117F and the HD67117FSX are generic CANopen repeaters that allows to extend a CANopen network through Multi-Modal optic fiber. These converters are contained in a metal housing, so it is STRONG and RESISTANT to the vibrations and shocks. The electrical parts are with triple isolation of 4000 V between CANopen/CANopen - CANopen/Power Supply - CANopen/Power Supply. 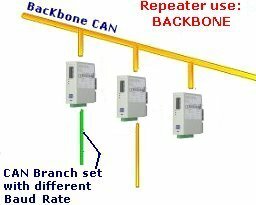 As a repeater, strictly said, that transfer the signal from one device to another without any processing of the signal itself: the use of a repeater is appropriate when the lines are electrical noise or transfer distances are high and you must use a extensor line, for very large distances, it is advisable to use the Fibres optic devices that have coverage up to 2 km. 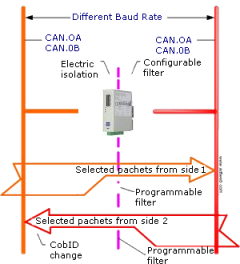 As isolator, the device can be inserted in two lines of the same protocol for passing data, but in a way that they still remain galvanically isolated. 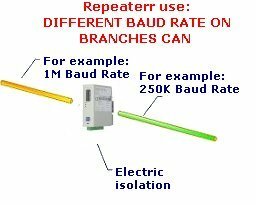 As bridge: if the signal to be transferred needs to be changed in speed (baudrate) in this case, the repeater device can also be used as a bridge.